Keiser is a Company that for over 30 years has been innovating in the spinning bikes market. Their machines are used to train American football champions, Olympians, Navy Seals and professional baseball teams. 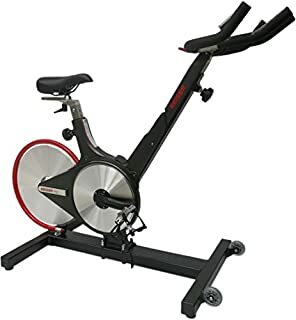 Until recently, using an indoor cycle meant having to fiddle around with those awkward tension resistance mechanisms that never seem to work. 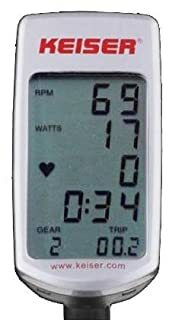 You feel either like you’re riding a bicycle with the brakes on or climbing a mountain, or your legs move around like crazy because the setting is too low and there is no resistance on the wheel. This is no longer a problem in the Keiser M3 Indoor Cycle Stationary Trainer Exercise Bike. However, I’m getting way ahead of myself. I’ll tell you more about that great feature shortly. First, let me say that when the Keiser M3 Bikes were launched, they revolutionized indoor group cycling. Every Keiser M3 Spin Bike now has a re-designed bike pedal. They have stronger bearings and now last over 30 times longer than the previous model. As I said at the beginning of this Keiser M3 Review, the company loves to innovate and is always doing research to find the best ways to improve their machines. The Keiser M3, for example, was the first bike to use eddy current magnetic resistance and an aluminum flywheel. So, let’s take a closer look at some of the best features the Keiser M3 Bike has. The M3 Keiser is packed neatly in a box. It comes with an assembly manual and will take about an hour to put together. I would recommend using a torque wrench; it makes assembly much easier. 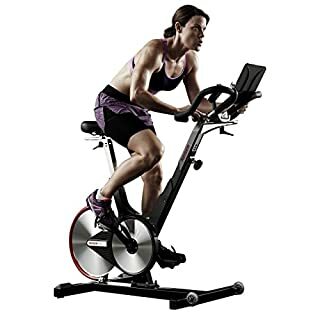 To download Keiser M3 Indoor Exercise Bike Assembly & Owner’s Manual click here. The Keiser M3 Exercise Bike was one of the first to use a low-maintenance magnetic resistance design. This means that there are no friction knobs to worry about. It delivers an authentic road bike experience. Since magnets provide the resistance, you can adjust them easily with a shifter that’s on the handle bar. There are 24 different levels to choose from, depending on how tough you want your ride to be. This system makes the Keiser M3 Cycle practically silent. Since there is no friction, it also makes the ride feel incredibly smooth. The new pedal design used on the Keiser M3 Exercise Bike is something you need to try. It is curved to simulate a shoe shape. This reduces pressure points on your foot. The fixed cage has an ergonomic design. It has an edge that makes it easy to flip the pedal and insert the foot, while ramped barbs help keep it secure. The pedals have straps to secure your foot even further, and you can adjust them in one simple motion. When you buy a Keiser M3 Indoor Cycle bike, you can be assured that it will provide many years of service. Stainless steel is used to build the hardware and flywheel, which makes them rust-resistant. The belt drive system eliminates the output of dust, and the handle bar and powertrain have been tested for more than 30 million cycles. Simply put, this bike was built like a tank! I found the handlebars design a bit weird. You will have to take your time to find a proper position for the handlebars and the saddle that makes you feel comfortable. This is a minor issue though, and you soon get used to it. 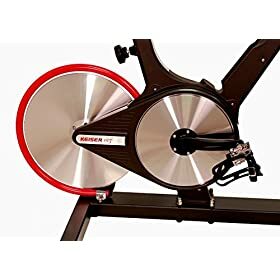 I did notice that the Keiser M3i offers a horizontal bar adjustment and a different handlebar design that lets you train in positions like the ones used in spinning classes. I like to read a good book while I do my cardio. Sometimes I whip out my tablet and watch a movie. When I have something to distract me, it seems much easier to exercise, so it was a bit disappointing to see that the M3 bike doesn’t have a tablet stand. Even though the bike is sturdy and feels very well built, the computer is delicate. It is built from plastic, so keep that in mind. Another issue is that it doesn’t store your workouts, and there are no pre-set workouts included. The M3 is a reliable bike that can take a pounding. This is why Keiser can afford to offer a 3-year warranty on it. If you want a bike that will not wake up your neighbors every time you use it, the silent magnetic resistance is a welcomed feature. Once you set your foot in its redesigned pedals, you won’t believe how comfortable exercising is. Now I understand why companies like LA Fitness or Cycling Enthusiasts love these bikes. Give it a try; I’m sure you’ll love it too.